The Peace Academy of the Sciences and Arts is excited to announce a one-week teen leadership summit that empowers students to delve into a critical analysis of current events and global issues. Students will discuss the 30 Human Rights declared by the United Nations in 1948. Using research, data gathering techniques, and evidence-based analysis, students will discover the ways in which countries may violate and enforce these rights. Students will connect with local leaders, a UN official, and engage others in intellectual conversations and advocacy. The program will conclude with a public event for students to showcase their infographics, speeches, compliance assessments, research, class blog, and more! Academic Enrichment: Students will contextualize their learning with a variety of academic subjects, including literature, historical analysis, geography, ecosystems, statistics, & economics. Holistic and formative real-world applications are incorporated into our curriculum to inspire a deep understanding of self and others through a learning culture that celebrates creative innovation, enriched collaborative experiences, and connection through core human values. Values are infused into students’ daily interactions and modeled by our educators. Our program serves to enrich students’ academic experiences with positive social interactions, empathy, and emotional intelligence. We are excited to embrace your student into our Peace Academy community! 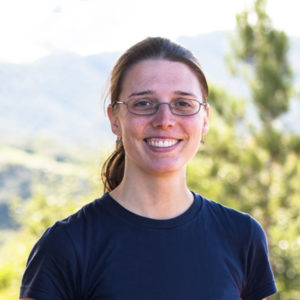 Dara Stepanek is an educator and community leader who graduated from Cal Poly with a Mathematics Major, Physics Minor, and Teaching Credential. She taught math at Central Coast New Tech High School for 6 years, where she served as the club advisor for the Social Justice League, a group of students who worked to educate, activate, and lead our communities into a world that is just for all. Dara enjoys time with her son and now manages operations for her family business, Bliss Cafe, to promote and serve locally grown vegan, organic cuisine. She recently became a Climate Reality Leader and is excited to graduate in March 2020 as an Integrative Nutrition Health Coach. Her hope for this Enrichment Program is to reinvigorate our democracy by empowering students to be global citizens. Always looking for innovative ideas within the broad spectrum of educational possibilities, Dara is very excited to be a part of Peace Academy’s team and vision.